When the folks behind Westmount Wine came to us, they came prepared. 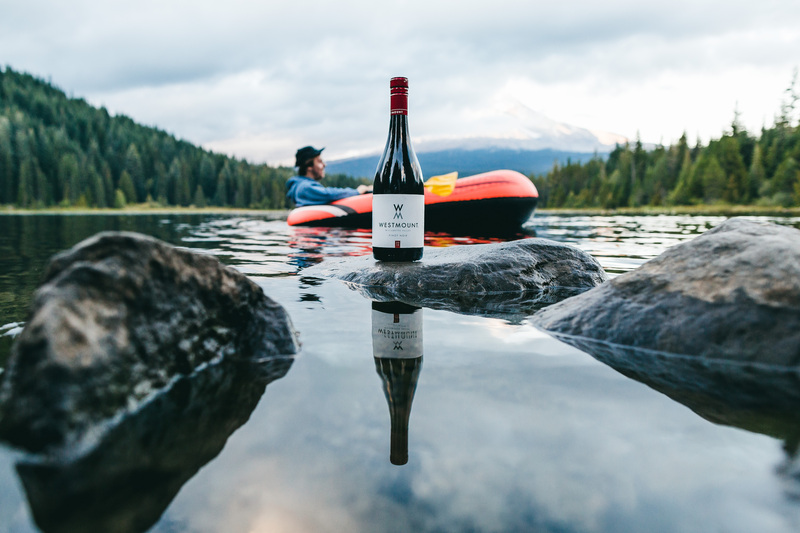 Westmount presented us with a 20 page research report which outlined the brand’s target audience (the elusive non-brand loyal outdoor Millenial), its aesthetic (minimalistic, and black and white), and its story (experienced winemaker with a sense of adventure and outdoor zest starts his own label with the help of industry friends). 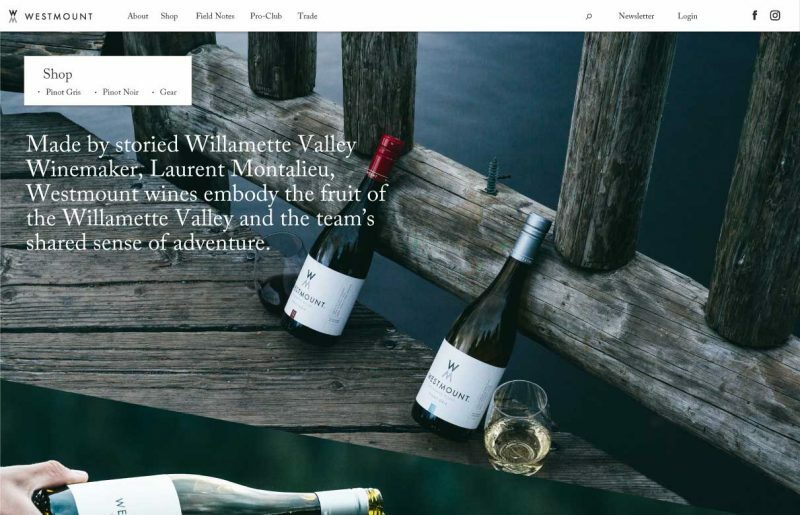 In short, Westmount Wine needed an agency to take their story and branding and turn it into an engaging online eCommerce experience. That’s where we came in. 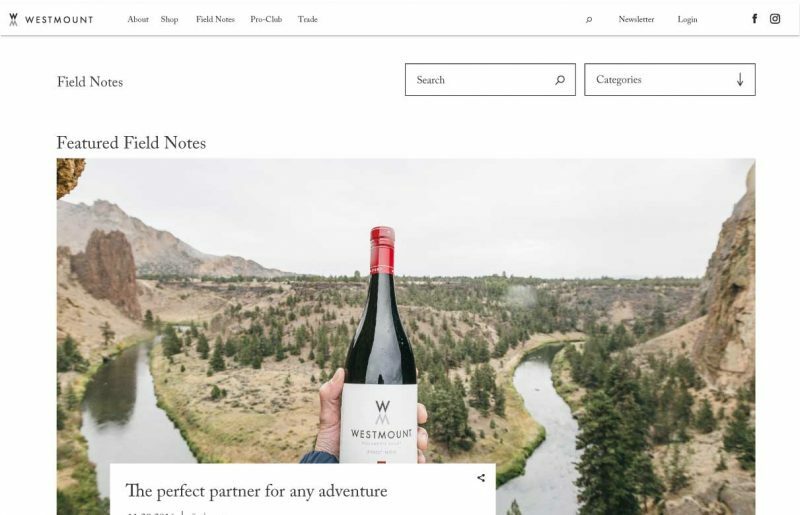 The team behind Westmount was looking for an outdoor-focused, adventure-forward web presentation with unique details that would set it apart from other Millenial minded wines. Many of Westmount’s employees are serious outdoorsy types themselves. Surfers, climbers, skiers, hikers, they are a group of people who love, worship, play, and work in Oregon’s rich natural bounty. Obviously, this meant the desired design would also be one that could relate these values to the world. 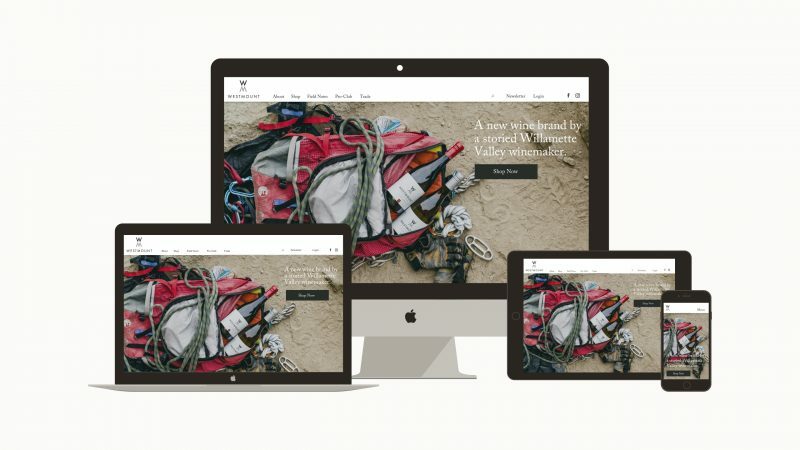 In addition to design and messaging, Westmount needed an eCommerce solution that would accommodate online wine sales and an eventual wine subscription service. Through our initial research and our in-depth design process, we were able to develop a modern design that drew from their stark branding and outdoor aesthetic. Next, we worked with the brand to determine the best e-commerce partner for them. We settled on Vine65, a wine-focused POS and e-commerce system, that was then integrated into the back end of the new site. When all the logistics were worked out, all the content optimized, photography gathered, and pages programmed, we launched Westmount Wine on our development server for testing and quality assurance. Once every detail was in place and every digital “t” crossed and ” i ” dotted, we launched the site for the world to see. Currently, Westmount Wine has two varietals for sale–a pinot noir and a pinot gris. Both styles of grape are grown locally at a vineyard south of Portland in Oregon’s fertile Willament Valley. Visit Westmountwineco.com and order a few bottles of your own, then get out there and enjoy the summer sun!